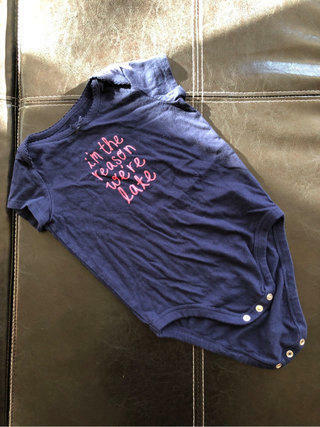 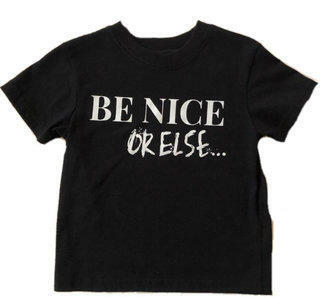 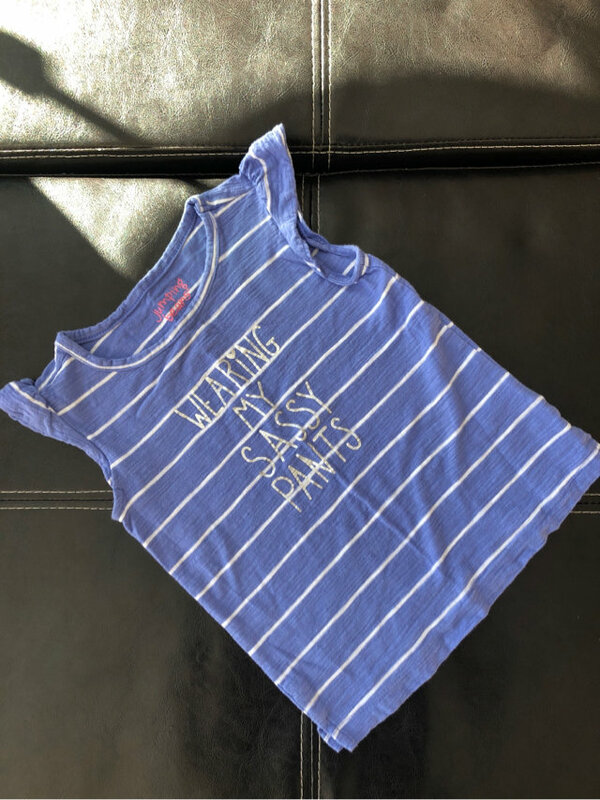 This is an adorable tank top by Jumping Beans. 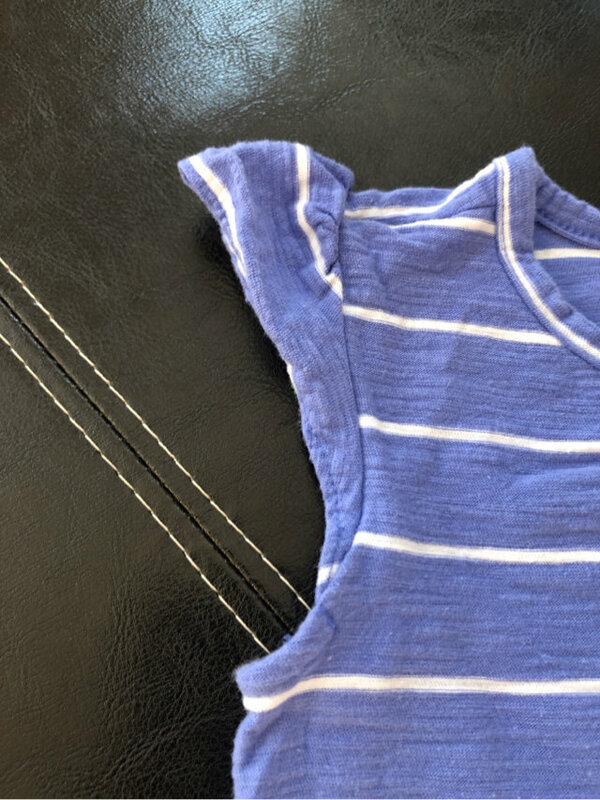 The color is a beautiful purplish blue, with white stripes. 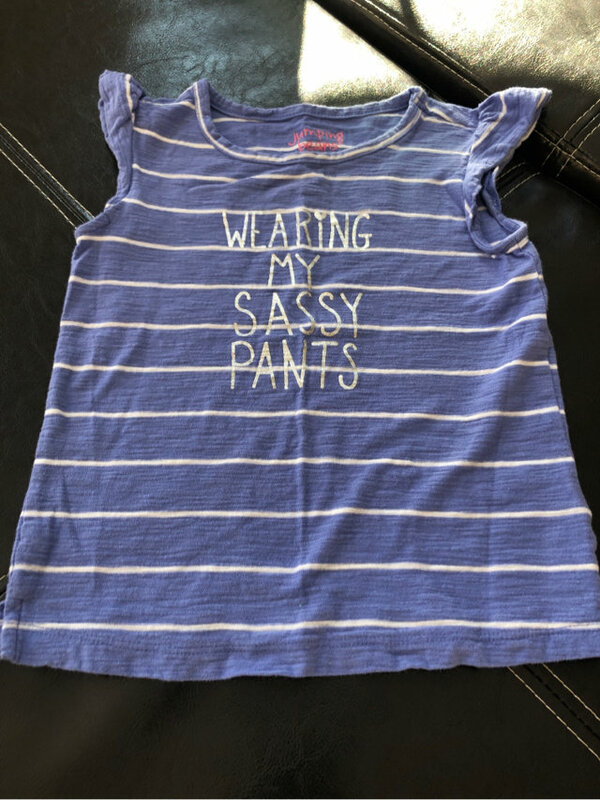 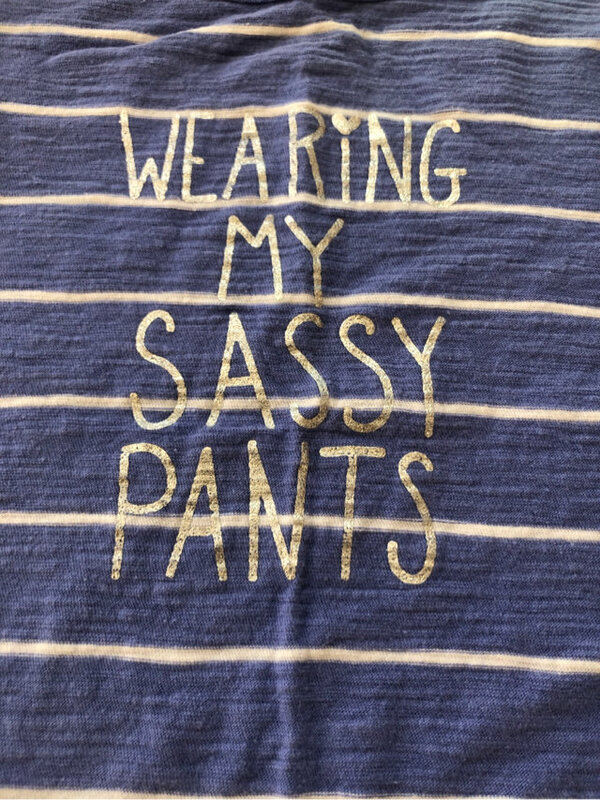 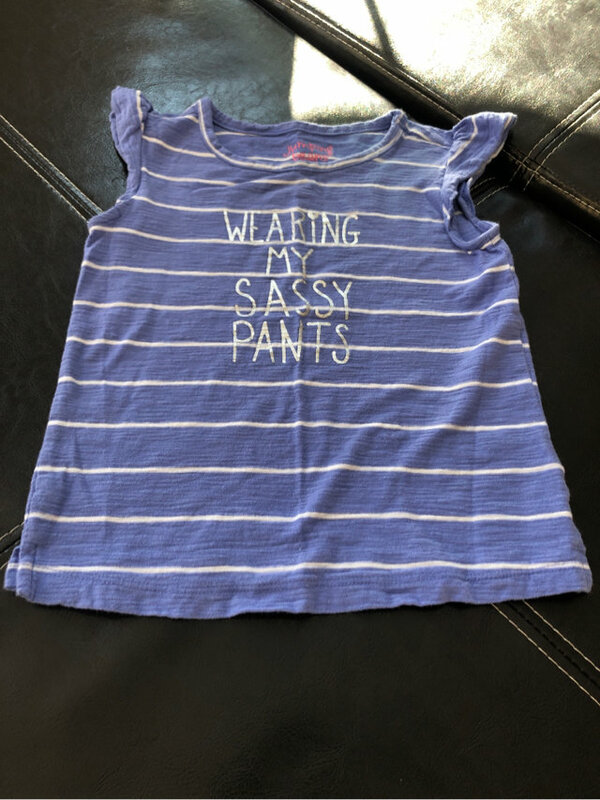 “I’m Wearing My Sassy Pants” written across the front with shiny silver. 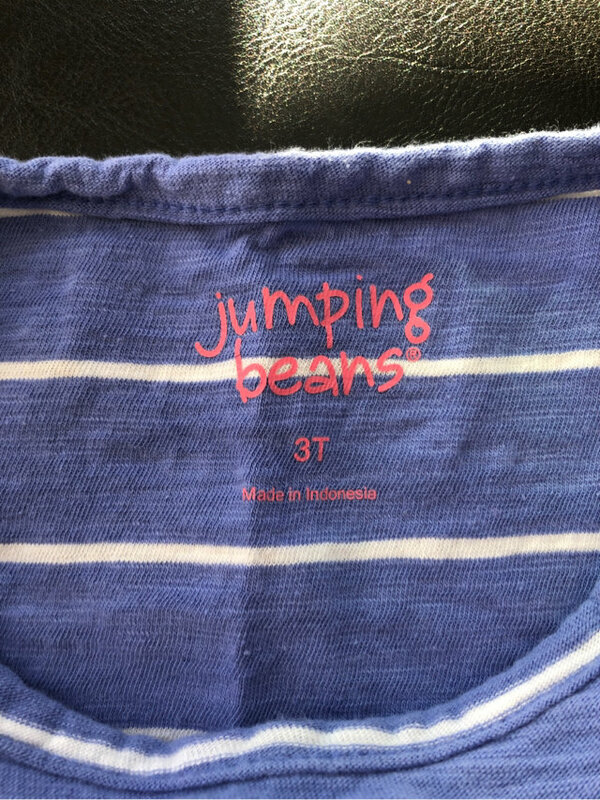 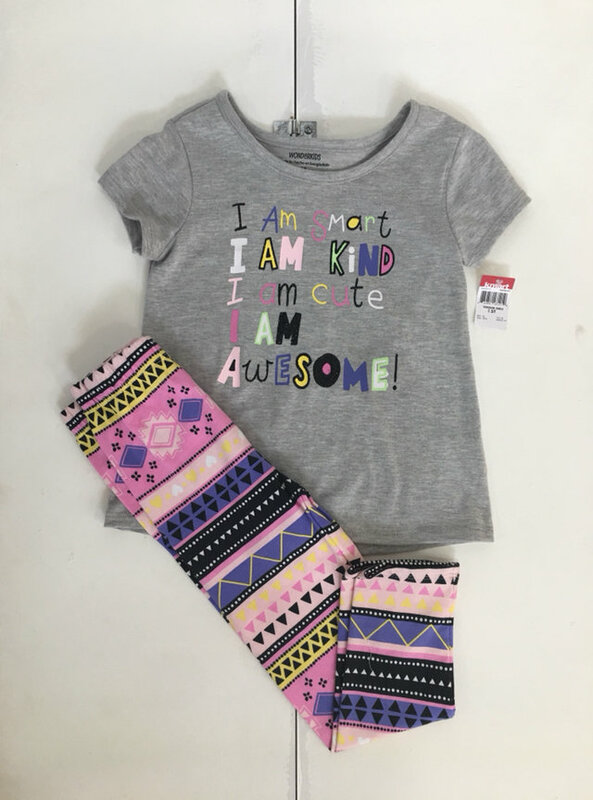 Size is 3T.